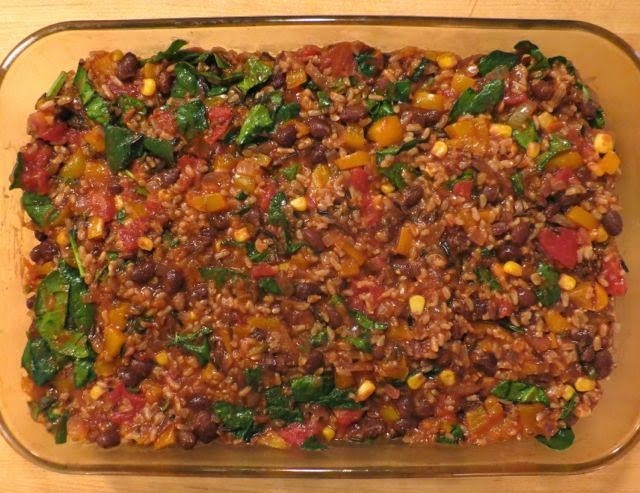 Chris and I were looking for a filling tasty meal as we were looking through the The Oh She Glows Cookbook when we stumbled across the Crowd-Pleasing Tex-Mex Casserole. And crowd pleasing it was -- at least to the two of us. 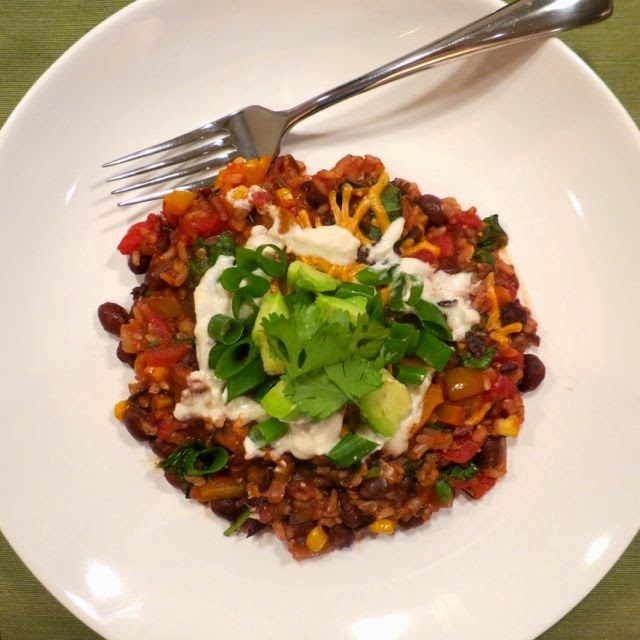 Think of wild rice tossed with corn, tomatoes, spinach and black beans and topped with cheese and tortilla chips. That, my friend, is a Mexican fiesta in a casserole. What made this dish complete though was the Cashew Sour Cream -- this stuff is to die for. 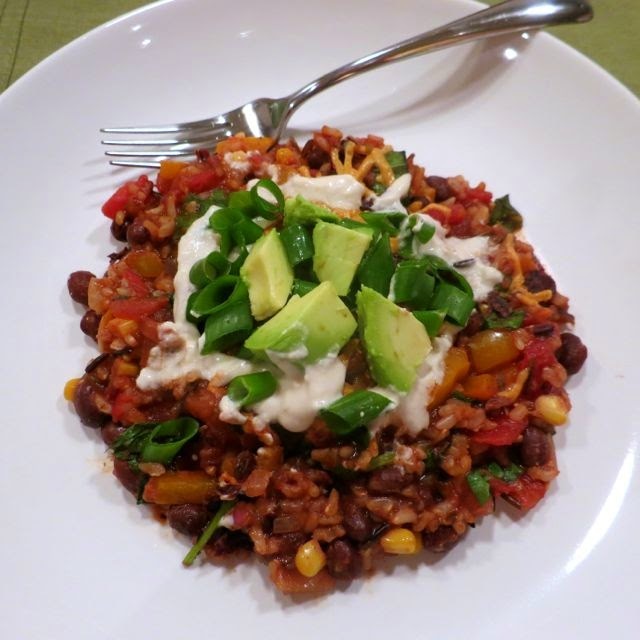 We really enjoyed this dish as is, but next time I will add more smoked paprika, more spinach to complement the rice and beans, and more Daiya cheese. The avocado and scallions are a must as well as a little hot sauce. 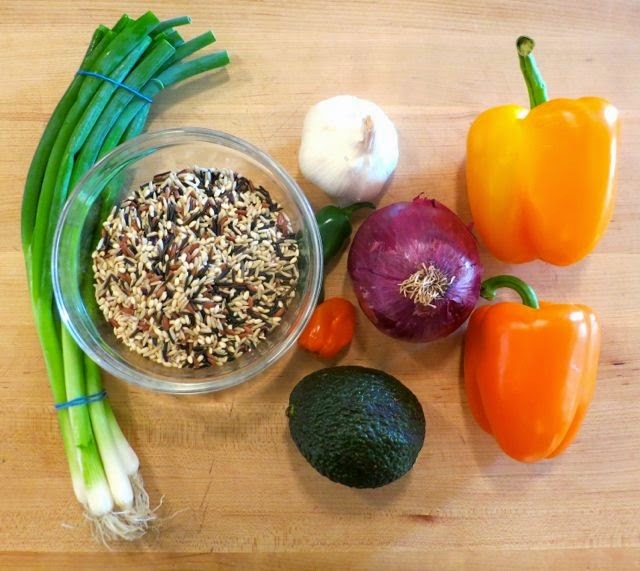 Make the Tex-Mex spice blend: In a small bowl combine the chili powder, cumin, paprika, cayenne, salt, and coriander. Set aside. Preheat the oven to 375-degrees Fahrenheit. Oil a large casserole dish. In a large wok, heat the oil over medium heat. Add the onion, garlic, bell peppers, and jalapeno and saute for 7 to 8 minutes, until softened. Season with salt and black pepper. Stir in the Tex-Mex spice blend, corn, diced tomatoes and their juices, tomato sauce, kale, beans, rice, and 1/4 cup of the vegan shredded cheese. Saute for a few minutes and season with more salt and black pepper, if desired. Pour the mixture into the prepared casserole dish and smooth out the top. Sprinkle the crushed chips over the casserole mixture along with the remaining 1/4 cup cheese. Cover with foil and bake for 15 minutes.